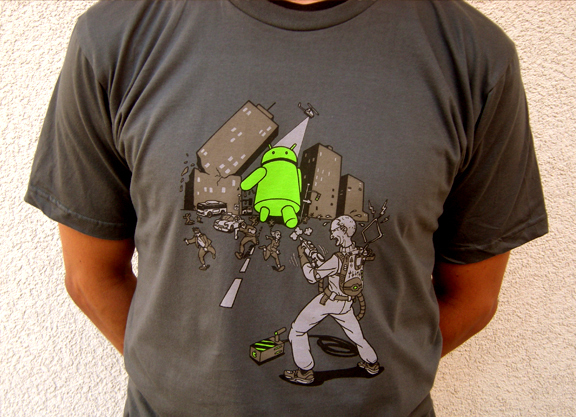 The should-be-award-worthy Android t-shirt series that we’ve been covering is back with a new edition, the Unstoppable Andy. Following up on the Andy vs. Apple release, this new gem takes the evil empire vs. the good guys one step further. Notice the attenna Ghostbuster pack? Notice its failure? Priceless. Pick one up today for $19 here. And so you know, these shirts are printed on American Apparel t’s which are top notch. I have both Exploded and Andy vs. shirts and love them.